Stroll historic colonial neighborhoods hand in hand. 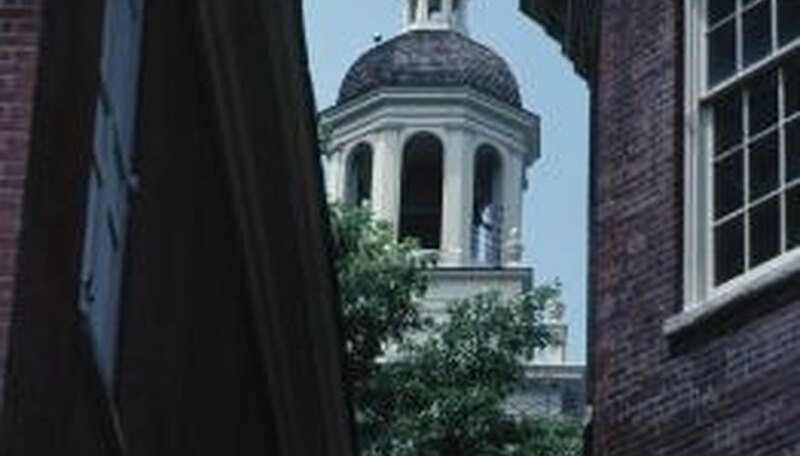 If your someone special is a history buff, Philadelphia has a treasure trove of landmarks sure to satisfy his appetite. Take a horse and carriage ride through the colonial neighborhoods of the Olde City section, to the Betsy Ross House and Liberty Bell. Stroll together through Independence National Historic Park, which spans twenty blocks of cobblestone streets. Stop for coffee and people watch over lunch at one of the small cafes. Surprise her with a pair of ice skates at the Blue Cross RiverRink which is open for the winter season. Hold hands for several leisurely laps around the rink, and then warm up with a steamy cup of hot chocolate served in the pavilion. In warmer weather, take a scenic walk down the riverfront then a boat tour down the Delaware River. She'll be awed by the view of the city from the river, whether you go on a sunny day or a star-lit night. The Spirit of Philadelphia is one of the ships that offer dining and entertainment while drifting down the river. The two-hour cruises launch throughout the day, including a sunset dinner cruise. Sweep him off his feet with a night of dinner and dancing in one of the city's many romantic settings. Have dinner at Byblos, the colorful, fine Mediterranean restaurant at the street level of a building by the same name. Afterward, head to the top of the building to Vango Lounge Skybar Roof Lounge. Open year-round, the roof deck features a heated patio. Share a cozy nook beside the fireplace and take in the twinkling city lights and wall of roses. Ask him to dance on the Skybar's dance floor and drink in the decadent atmosphere at the bar. In lieu of artisanal chocolates or a homemade candle-lit dinner, bring your sweetie on a City Food Tour, which offers a tasting tour of Philadelphia. Available on weekend afternoons the tours run about two-and-a-half hours. The Decadent Gourmet Tour includes a cheese and gelato tasting before making its final stop at a café specializing in fine European chocolates. Reserve tickets in advance and encourage her to skip breakfast that day. LaJambre, Aurora. "Romantic Gift Ideas Near Philadelphia, Pennsylvania." Dating Tips - Match.com, https://datingtips.match.com/romantic-ideas-near-philadelphia-pennsylvania-8224533.html. Accessed 22 April 2019.